Double rooms are cosy room for two persons. The room: 1 wide bed, shower / wc, cable TV, telephone, desk, bed linen, towels, and wardrobe for clothes. 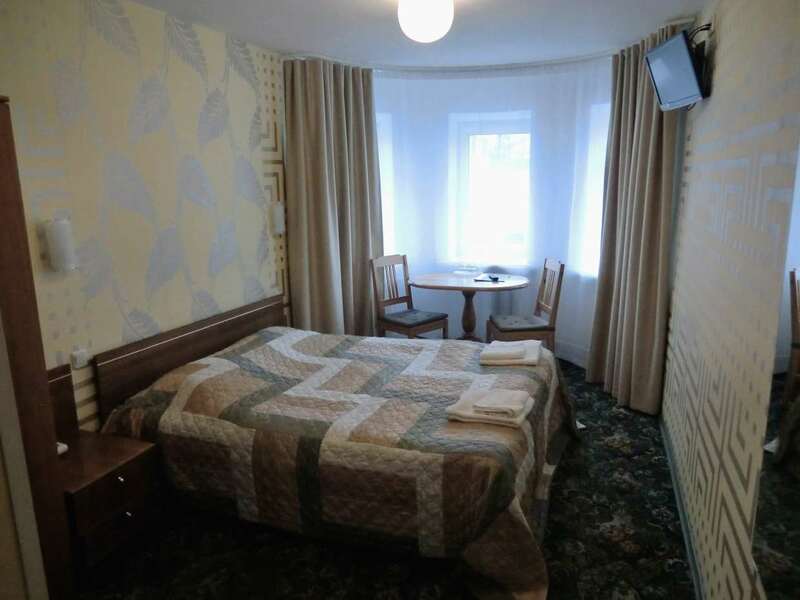 Services: 24-Hour Front Desk, meeting room / conference / banquet hall, service "wake me up", sauna (at extra cost). Iron/ironing board and hairdryer are available on request from reception. Safety deposit boxes are available at reception (at extra cost). We also offer free short-term luggage storage. Parking: We have free parking in guesthouse yard, (If there is availability) but it is not secured. You have also an opportunity to leave your car at safe private parking (5 EUR/per day), that is located 5 minutes from Dorell. Breakfast: Buffet breakfast is served every morning 7:30 to 10:00 am. Cancellation and prepayment: Cancellation and prepayment terms depend on the room type. Please check current terms when choosing the room. Children and extra beds: All children under 5 years are staying for free using exsisting bedding. Extra bed for up to children or an adult is charged 20 EUR per night and person. 1 extra beds are allowed in a room according to a room's maximal capacity. 1 cot is allowed in a room according to a room's maximal capacity. Usage of extra beds and cot need to be booked separately and confirmed by hotel. Extra services and amentities are not included in total price and are charged on arrival. Pets are allowed. Extra charge (15 EUR per pet per night). Acceptable credit cards: Visa, American Express, Mastercard, Maestro. 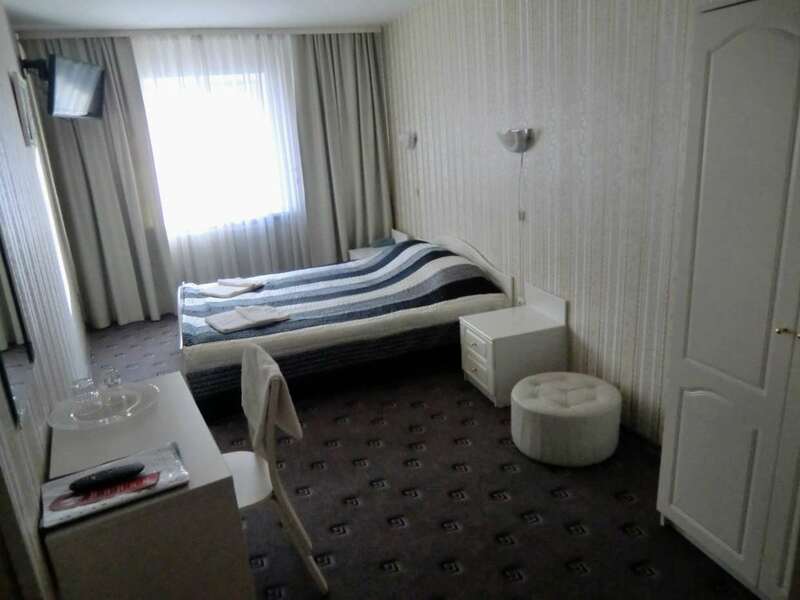 Copyright © 2019 HOTELL "DORELL" - TALLINN. All Rights Reserved.